In Tending the Wild, Kat Anderson writes about majestic California sycamore trees that were “massive enough to create a home for a menagerie.” Her menagerie included wood-boring beetles, reptiles, raptors small mammals, and birds. 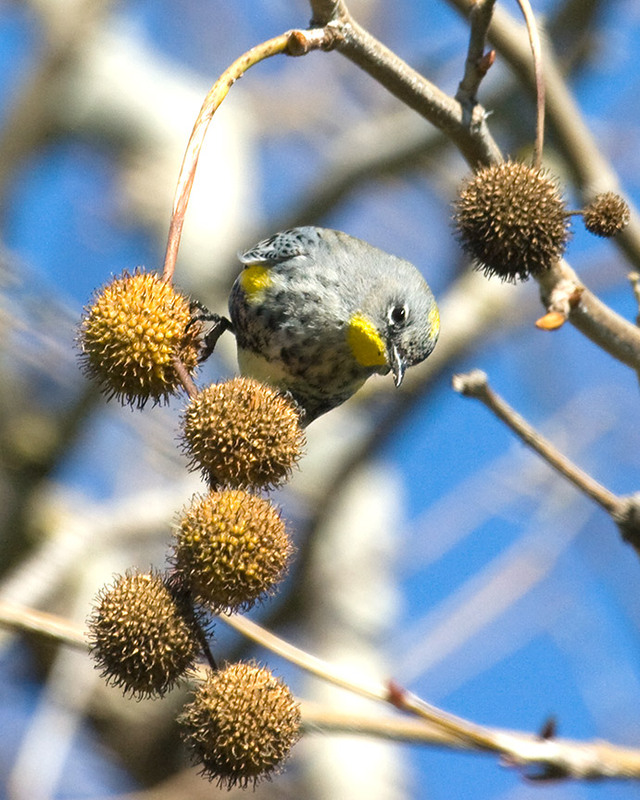 Sycamore trees still provide sustenance for many birds, including the yellow-rumped warbler, Dendroica coronata. The photograph above and below were taken by CSUSM student/photographer/birder Clarissa McCallum. 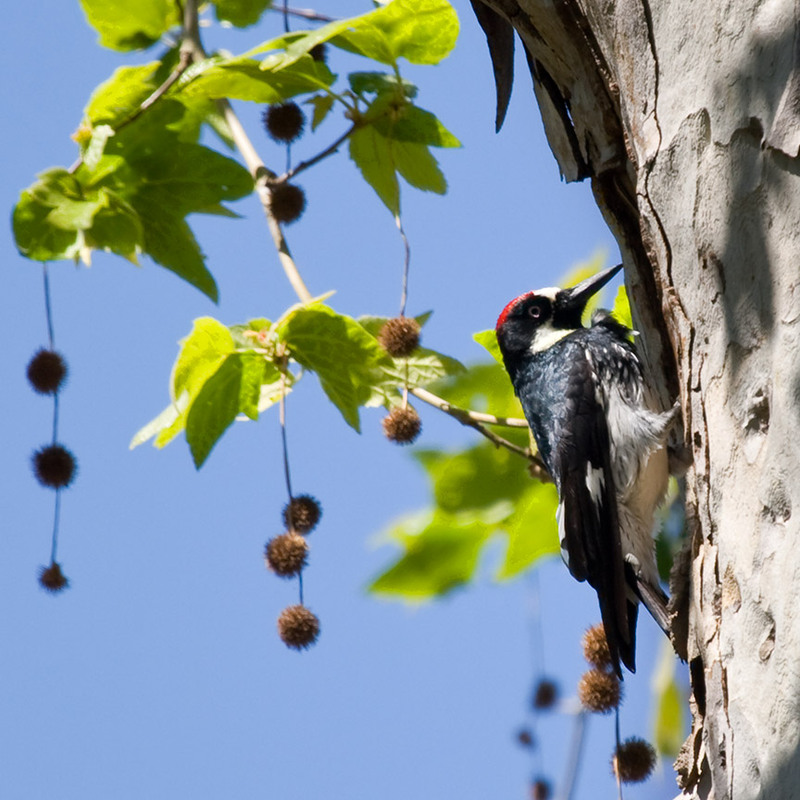 Sycamore trees are bird magnets, providing wildlife habitat for cedar waxwings, Bombycilla cedrorum; acorn woodpeckers, Milanerpes formicivorus; and Cassin’s kingbirds, Tyrannus vociferans, among others. The sycamore tree sheds its bark as it grows. In a recent interview, Pauline Murillo, an elder from the San Manuel Reservation, described to Rose Ramirez and me how she gathers the mottled sycamore bark to prepare a tea. After rinsing off the bark, she boils it in water until the water turns red. The bark can be used again and again. When the water no longer turns red, she uses another piece of bark. It’s a very relaxing tea, Pauline tells us, good hot or cold. In Santa Ysabel Ethnobotany, Ken Hedges and the late Christina Beresford also describe making a decoction of sycamore tea to treat asthma. Five or six pieces of bark are added to boiling tea water made with the desert plant, Ephedra californica. The tea will turn red after the sycamore bark is added to it. For asthma, they recommend drinking the tea rather than water for a week. The sycamore, unlike so many native plants in southern California, is not particularly drought tolerant until well established, and only then in areas with a high water table or near the coast. Which is why the deciduous sycamore often grows streamside in riparian plant communities. 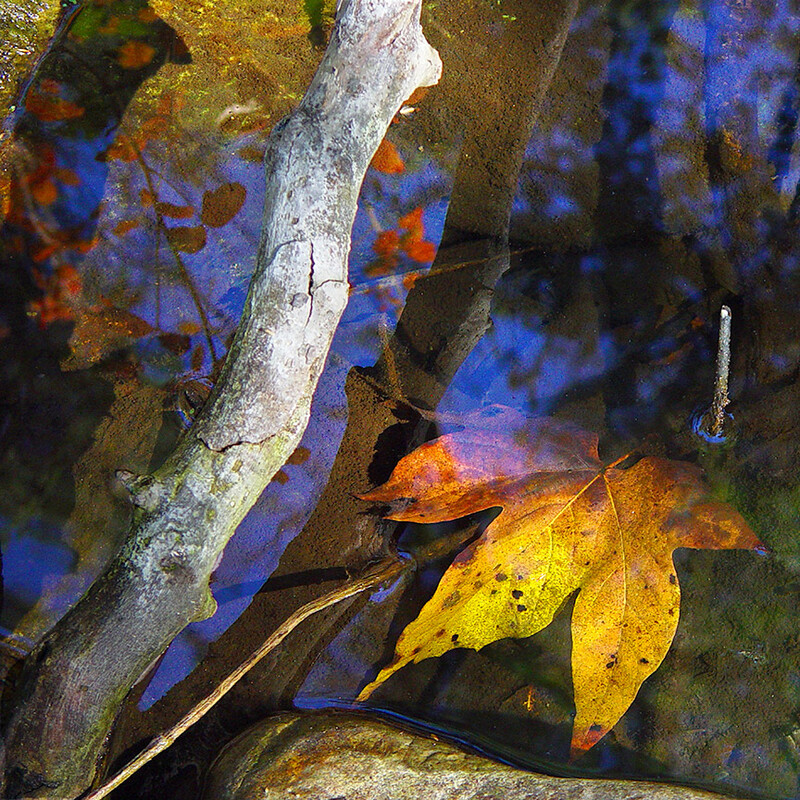 Above is a photograph of a fallen sycamore leaf in a North County San Diego creek. Native landscaper Greg Rubin suggests that sycamores, along with cottonwoods and alders, should be planted for restoration work in riparian areas. Because sycamores grow 6-8 feet per year, it doesn’t take long to get the trees established in areas where non-native eucalyptus and other invasive species have been removed. hi jinnah, absolutely, please use it. good luck with your native plant sale! deborah.